1. Some lawns need feeding. Southern lawns like (Bermuda, St. Augustine and Zoysia) love to be fed at two month intervals from spring to fall for a total of about 4 feedings a year. Centipede only likes two or three feedings a year from late spring to late summer. If you have already fed your Northern lawn (like Bluegrass, Fescue and Ryegrass) twice this year you can skip feeding until later in summer. Scotts GreenMAX Lawn Food, Scotts Turf Builder or Scotts Natural Lawn Food are good choices for this time of year. 2. Prevent Grub problems. If you have put down GrubEx this spring, you are all set. If not, there is still time to prevent grubs from destroying your lawn this fall. A single application of GrubEx will prevent the next generation of grubs this summer from attacking your lawn. This application of GrubEx also protects against some lawn damaging insects like sod webworm. 3. Keep your lawn from thinning and turning brown. Tiny insects can attack your lawn during summer. One indication that they may show up is when you see moths fly from your lawn when you mow or walk on your grass during early evening hours. These moths do not damage your lawn, however they lay eggs for insects like sod webworms and cutworms that can cause your lawn to thin and turn brown. Other insects, like chinch bugs can show up about the same time. You can protect your lawn while feeding it with a special summer lawn food called Scotts Turf Builder with SummerGuard. This product also takes care of other insects like fleas, ticks and ants. If your lawn does not need feeding, you can spread Ortho Bug B Gon MAX on your lawn to take care of any insect problems. 4. Kill lawn weeds. June can be a good chance to eliminate weeds before they steal water from your grass and begin slower growth during hotter summer months. Ortho Weed B Gon MAX plus Crabgrass Killer OR Roundup For Lawns takes care of most weeds. 5. Treat lawn fungus problems if needed. 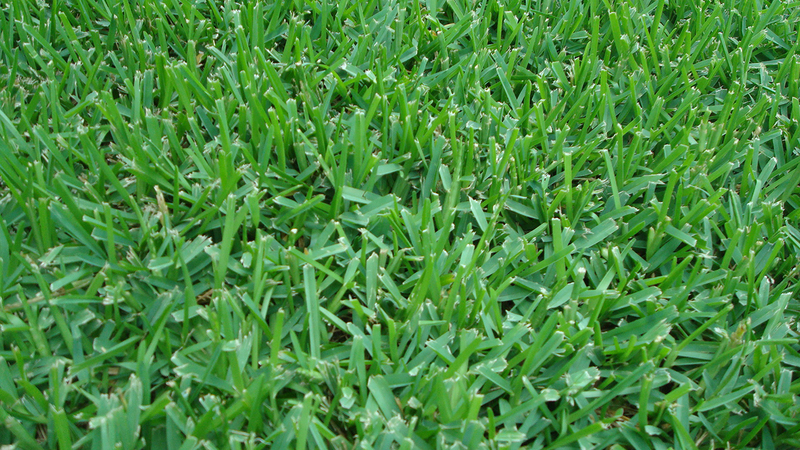 Circular patches of browning grass or individual grass blades with spots on them are an indication of lawn fungus problems. Some of these problems will go away with shifting weather, however if they persist or if you have certain areas of your lawn that are prone to fungus problems each summer, you can treat with Scotts Lawn Fungus Control. 6. Seed bare spots. Even though it is summer, you can still seed bare spots because it is easier to keep small areas watered until the grass becomes established. Scotts EZ Seed is a good choice because the special mulch holds moisture next to the seed while it is germinating. Note that you will need to wait at least a month to seed after applying weed controls or four months after applying crabgrass preventer. 7. Mow your grass taller. Taller grass blades mean deeper roots to match the leaf growth. So adjust your mower to leave your grass height at around 2-1/2 inches for Bluegrass, Ryegrass and Fine Fescue; at 3 inches for Tall Fescue and Buffalograss; at 3 to 4 inches for St. Augustinegrass; and at 1-1/2 to 2 inches for Bermudagrass, Centipedegrass and Zoysia. 8. Water Sensibly. If you are able to water without restrictions and you want to keep your grass from going dormant, a half inch twice a week is better than a small amount every day. This helps to encourage deeper roots. Place a tall straight sided/flat bottomed glass or a rain gauge on your lawn while your sprinklers are running then measure the depth of water that accumulates in the glass to help calculate how long to run your sprinklers to put down a half inch. You would only need to do this once to help figure out your sprinkler system. If you can, water in early morning when there is less wind and evaporation. In need of lawn care service in the Palm Harbor area? 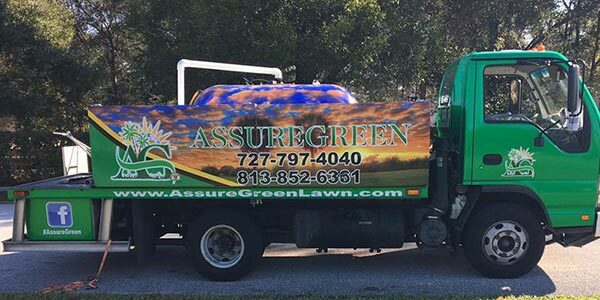 Give Assure Green a call today at (727) 797-4040 to learn more about our services and to schedule a free consultation.